The NEW Solvit Sta-Put™ Furniture Protector comes in 2 beautiful colors and 2 convenient styles. 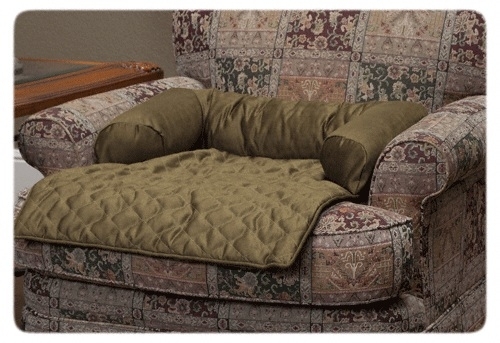 The Luxurious stain-resistant top, micro-suede fabric is designed to keep your couch protected even from harriest pup!! 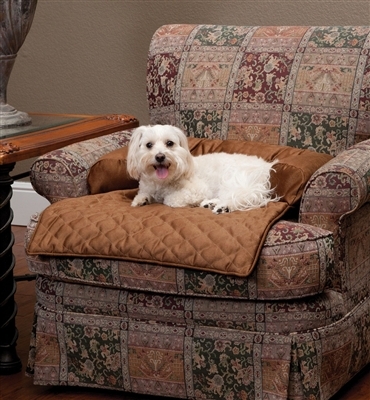 The Solvit Sta-Put™ Bolstered style Furniture Protector combines furniture protection with exceptional comfort for pets. 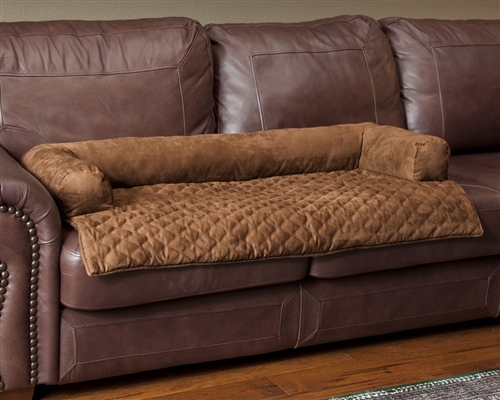 The generously-filled bolster provides a cushion on three sides and serves as a backstop to keep pet hair from touching the upholstery. This style can also be easily removed for cleaning or when guests arrive. 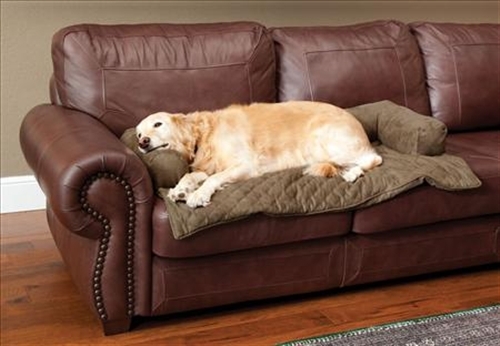 Large: 46" L x 26" D and fits pets up to 120 lbs.